Senator Suzanne Chun Oakland is Chair of the Senate Committee on Human Services (HMS) which includes public assistance, the Medicaid program, vocational rehabilitation, services relating to homelessness, elder services, and early childhood education and care. She also serves on Education (EDU), Transportation and Energy (TRE) and Ways and Means (WAM) committees. Senator Chun Oakland is a proud graduate of McKinley High School and the University of Hawai‘i, double majoring in Communications and Psychology. 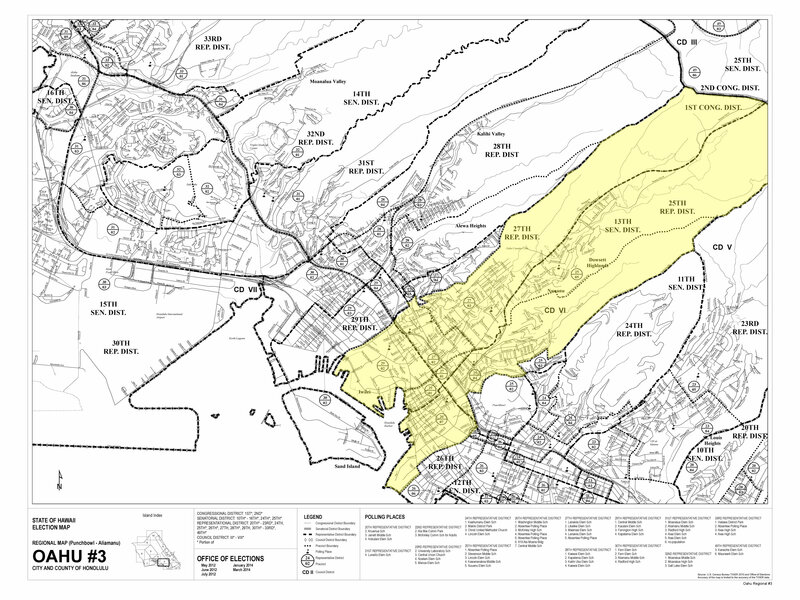 She has served in the State Legislature for 23 years and currently represents Hawaii's 13th Senatorial District, which includes Liliha, Palama, Iwilei, Nu‘uanu, Pacific Heights, Pauoa, Lower Tantalus, Chinatown, Downtown and part of Kaka‘ako. She has served in the Hawai‘i State Senate since 1996 and as a State Representative from 1990 to 1996. She is the daughter of Philip and Mei-Chih Chun. Married on June 11, 1994 to Michael Sands Oakland, Senator Chun Oakland and her husband have three children: Mailene, Christopher, and Lauren Oakland. Senator Chun Oakland has four grandchildren: Mysha, Shayden, Lily and Jade. 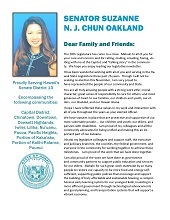 Click here to view Senator Chun Oakland's 2016 session update, which includes a message from the senator, a breakdown of the State Budget Bill, a list of capital improvements and other project funding, other legislative highlights, and a schedule of upcoming community meetings.